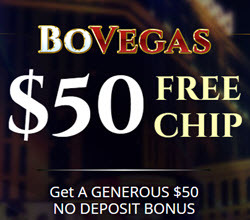 Bovegas Casino no deposit bonus 2019 - Get $50 Free Bonus Code! Trying to fit into the virtual world of online gaming with a Las Vegas theme and a handful of user-targeted advantages, Bovegas Casino has at least done one thing right. Its website sparkles with moving graphics and bright colors, while its games are powered by Realtime Gaming, an industry giant well-known for delivering the kind of experience most casino enthusiasts crave in the online venue. A powerhouse in the online casino world, Realtime Gaming is behind the setup on Bovegas Casino. From clear depictions of Las Vegas gambling scenarios to superior graphics to exceptional color displays, the website looks spectacular, adding to the thrill of gambling without the need to hop on a plane or travel across the country. Realtime Gaming is no slug when it comes to setting up gaming sites, and you should be more than pleased when you stop by to play. play now at bovegas casino ! The government of Curacao is responsible for Bovega's license. Therefore, it is also required to regulate daily operations, which is standard for this industry. Hitting close to 150 virtual games, Bovegas Casino delivers everything from traditional to modern themes in eGaming. While you might not think this selection is big enough for you, it is more than sufficient to keep most members entertained and content, particularly because the graphics and game play are top notch. 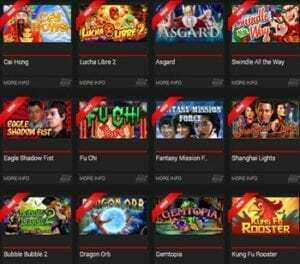 A number of classic games are front and center at this casino, giving players access to some of the most popular choices of all time. The existing collection of table games includes everything from blackjack to baccarat to roulette. Popular titles include Caribbean Stud, Pai Gow Poker, American Roulette, European Roulette, and Vegas Three Card Rummy. Not to be outdone when it comes to choices, the selection of poker games features lots of options. Some of the more popular ones include Bonus Poker, Deuces Wild, Mystery Bonus Poker, Sevens Wild, and Jacks or Better. While you might think a few more slot games are needed, Bovegas delivers a sizable number of them, starting with the “Reel Series” and ending up with traditional styles featuring graphics that remind you of the cartoons you used to watch as a kid. All in all though the selection is relatively enjoyable. Some of the favorite titles here include Dream Run, Achilles, Triple Twister, Megasaur, DJ Moo Cow, and The Big Bopper. Signing up with Bovegas Casino is simple enough. You need to create a username and password, while also choosing the type of currency you want to use. Your options include USD (U.S. dollar), EUR (Euro), and AUD (Australian dollar). Bovegas Casino puts up an excellent welcome bonus that provides a profitable reason to sign up. This bonus is actually given out over two different deposits, but it also offers match bonus options, delivering quite a hefty sum into your account. Of course, as with most other online casinos, you need to decide if you can handle the large wagering requirements before you know just how long you can last and how much you can expect to profit. Individuals from certain countries cannot join Bovegas Casino, so you might want to check and save yourself some frustration before trying to sign up. Anyone from Egypt, Poland, Turkey, Israel, Jordan, or Azerbaijan should simply find another casino, because this one does not let you join. The site likes to pat itself on the back with a message that its games are determined to be fair using a Random Number Generator or RNG. No matter what game is selected, players can be assured that the results are truly random. If you ever have a question, just access the live chat option for a fast answer. A customer service rep is available 24 hours a day, so you should get a quick response. Of course, you can always use email ([email protected]) if you aren't in a hurry or phone if you prefer to hear a voice respond to your questions.